4.13 Filipino Independent Film Special: Mabuhay! Pinoy Indi-Cinema! 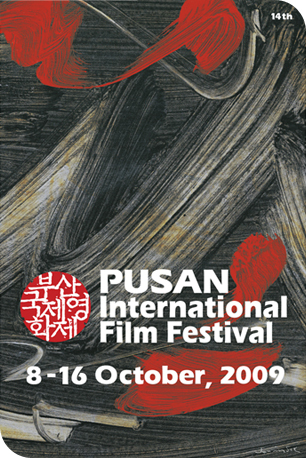 Official poster for the 14th Pusan International Film Festival is based on the abstract painting "Song of the Night" by Jeum-sik Jeong and designed by Soon-dae Choi. Pen-Ek Ratanaruang & Terri Kwan presided on the "New Currents" jury and Tan Chui Mui & Ji-tae Yu presided on the "Wide Angle" jury. Filipino Independent Film Special: Mabuhay! Pinoy Indi-Cinema!